It's almost Thanksgiving here in Canada - so, of course I've been browsing the Thanksgiving harvest items on Etsy. 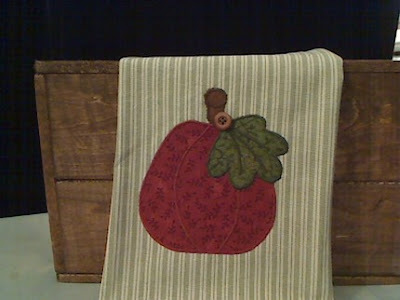 I really love this homespun dish towel with a pumpkin applique by WhatKnotShopbyEmilie. A couple of these would make a wonderful gift too! What's your favourite item from this shop?